Watching a movie is something everyone enjoys, be for relaxing the mind, or gaining knowledge. Be it fiction or non-fiction, movies, documentaries, etc. Theaters create a special ambiance where they can sit and enjoy a movie of their choice. It is the ambiance of a theater that a movie-goer pays for: a good seat, a comfortable position, etc. To elevate the movie-watching experience, some theaters in different parts of the world have taken their amenities up a notch. From beds to beanies, the organizations are interested in providing the most comfortable movie experience to the audience. These seating arrangements might be strange, but definitely cosy. Let us take a look at 10 Coolest, Comfiest and Strangest Movie Experiences from around the World. For those who enjoy a healthy dose of arthouse movies, the Enzian Theater is the place to be. Located in Maitland of Florida, the Enzian Theater is a non-profit theatre which features arthouse movies. 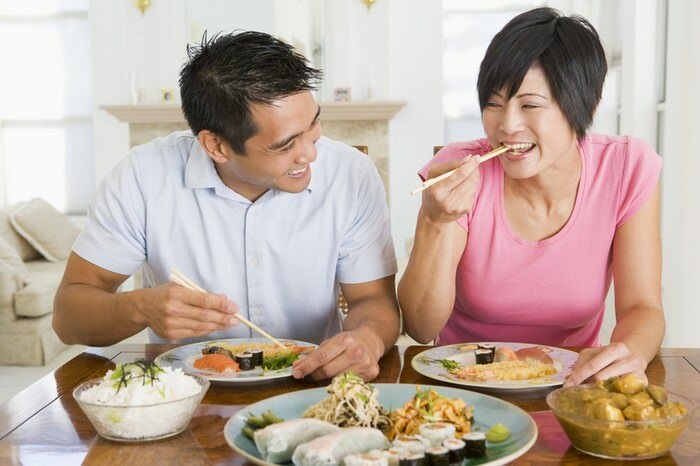 It is famous for hosting the Florida Film Festival, and other local film festivals. But watching art films doesn’t mean you have to be all intense. Patrons can sit in chairs around tables, or in comfy sofas, enjoying a meal, here and get one of the coolest, comfiest and strangest movie experiences. The Electric Cinema, located in Notting Hill, London, is one of the oldest working theatres in the country. Opened in 1910, it was among the first buildings dedicated solely to displaying motion pictures. But it is not the history of the theatre that makes it known, but its revival and remodelling in the modern era, during which wide leather seats and sofas were installed in the theatre. It even offers luxurious giant beds. Front-row audience can watch movies easily without straining the neck. The Blitz Megaplex is a chain of movie theatres across Indonesia. Started in 2013, it has several of its theatres in Jakarta. Blitz Megaplex in Jakarta offers sofa beds for seating, which is called “velvet seating”. Even though the tickets for these beds are priced at 2-4 times the regular seats, they are immensely popular, especially with couples, who enjoy spending some time in the bed, watching a movie and having snacks in the beautiful beds. Thankfully, there is no charge for individual pillows. The Orange Cinemas Club project was created in 2011 in Beijing on request of Orange Sky Golden Harvest Entertainment Group, one of the biggest Asian cinema companies. For a complete boutique cinema experience, Orange Cinemas Club is the place to be. Amidst the striking interiors, and the option to have private or corporate events with food and drinks, there are sofas where the visitor can ensconce himself with pillows and even blankets for the ultimate comfort, while watching films. 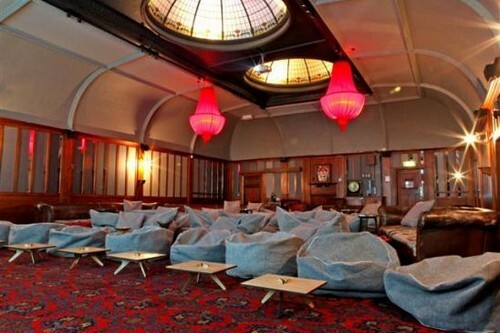 The Dome Cinema of New Zealand is set inside the Gisborne Gentlemen’s Club billiard room inside the Poverty Bay Club building erected in 1898. While the theatre has a nostalgic air about it, with the red carpet, stained glass domes and rich history, the theatre offers one of coolest, comfiest and strangest movie experiences, three or four nights a week. One can curl up in one of the bean bags, and enjoy some delicious pizza or local organic wine and relish a movie in an old-fashioned style. Grand Cinema Digiplex is located in Baneasa Shopping City of Romania. It was established in 2011, as the largest cinema in Romania, with the largest screen in the country. It is a grand experience to watch a movie or show in this theatre, sitting all relaxed in the rocker adjustable couches and seats made of leather, which replace the classic seats of cinema. One can choose to watch a movie in a premium conditions, or gain the ultimate cinematographic experience, in the different theatres. DokuFest is the biggest Documentary and Short Film Festival in Kosovo, which takes place in the beautiful one time capital, Prizren. 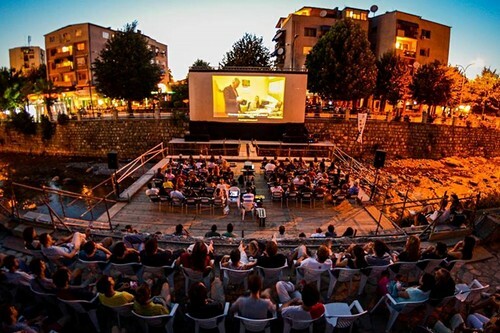 DokuFest was begun in 2002 as an annual event, and it showcases films at various open air screening venues around the city. Though it also showcases films in regular theatres, it is the screenings at open air venues that attracts attention. With the sky above the head and grass to sit on and spread the legs, this is a one-of-a-kind movie viewing experience. TGV Cinemas are a theatre chain in Malaysia, and it has very well secured its position in the running for giving one of the coolest, comfiest and strangest movie experiences. Here, regular cinema seats have been replaced with bean bags, and is the first and only cinema in Malaysia to do so. Currently, there are three theatres of the chain which offer bean bag seating arrangements, and these aren’t just any beanies: they feature 2 metres of leg room, which is as good as king sized beds to snuggle in. 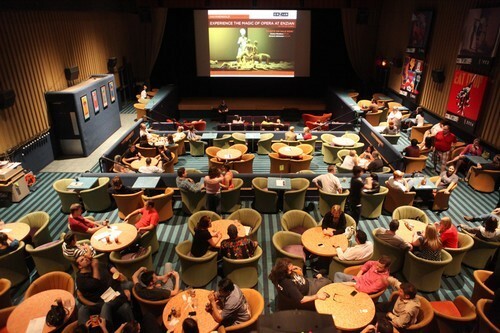 The Sci-Fi Dine-In Theater Restaurant at Disney’s Hollywood Studios is a theme restaurant. The restaurant is designed with inspiration drawn from a drive-in theatre of the 1950s, with booths, resembling convertibles, i.e. four-seater cars with whitewall tires, and number plates of 1955. As visitors enjoy their food, they can watch film clips from the 50s and 60s, on the large projection screen. The 47-minute projection comprising pseudo-documentary, cartoon, etc., is quite engaging. Hot Tub Cinema is not you regular, run-of-the-mill theatre where you go, grab a pillow and lie down to watch a movie – that is, as per the standards we are maintaining in this list – since this is a pop up event. It held its first public screening in 2012, and has remained one of the most enjoyable ways to enjoy the favourite films for the people of London and Brisbane at various locations, as they sit in a hot tub. Getting wet, dressing up, singing, drinking and having all forms of fun are encouraged here. Theatres and film festivals with comfy seating arrangements are on the rise. 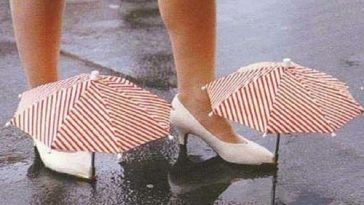 Many unique temporary arrangements have also been made. For instance, when the movie Life of Pi released, it was screened in Paris in floating boats in a movie event called L’Odyssée de Pi: Cinéma sur l’eau, which was a promotion, in keeping up with the theme and the central plot of the movie of the movie, while the Music Hall of Olympia was filled with beds from IKEA for the promotion of the newly introduced mattress line of the company. The 2nd edition of Transatlantyk Festival in Poznan featured a unique arrangement of open-air cinema in bed, with a separate screen was allotted for every four-poster bed, complete with white curtains. Thus, be it for the promotion of a film or a product, or just to provide unforgettably cool, comfy and strange movie experiences, the strangest yet cosiest theatres, cinemas or events are being offered. So go out and enjoy a movie the way you want. Just don’t fall asleep, or forget to watch the movie while having fun.